You are here: Home / 0L / Personalized Admissions Packets: What’s in a Name? Choosing the right law school to attend can sometimes seem overwhelming. Often, decisions are based on future factors you may not even realize until your 3L year, such as the type of law you want to specialize in or where you intend to practice law. Alternatively, other issues may arise that are out of your control. For instance, maybe you were rejected from your top choice, or perhaps, you were accepted to two vastly different law schools that you favored equally. Although many decisions can be resolved by focusing on fundamental criteria like, which school is offering a better scholarship, there is one minor item you should consider when evaluating your choices: Personalization. What Exactly Does Personalization Mean? Take a look at correspondence you receive from the law schools you select. Do they address you personally in letters and/or emails, or do they use a more generic term such as, “applicant”? Aside from an external mailing label, does your admissions packet contain your name anywhere else? During your birthday month and/or a holiday (if relevant), did a law school send you the corresponding card wishing you well? How were you treated when scheduling and subsequently, taking a tour? These are just some of the questions you should ask yourself before making a final decision. Where Did this Practice Initiate? A quick Google search will reveal articles, published by multiple prominent news sources, discussing applicant data. Specifically, these articles provided statistics charting the decline of law school applications from 2010 through 2016. Although this trend has recently reversed itself, at that time, law schools attempted to find other ways to ensure students enrolled in their school. One of these methods was through personalizing the application process. An admissions board is typically thought of as one of the most renowned departmental bodies at any given law school. This seems valid considering they help to determine an applicant’s future. As such, they are perceived as formidable and inaccessible, but this should not be the case. While they undeniably deserve the utmost respect, as does any aspect related to professional or scholarly matters, they should not be (nor appear) unapproachable. Choosing a law school is too important of a life decision for candidates not to be able to ask crucial questions. Also, there is a partially true stigma surrounding law schools, which implies that unlike business school, the allegedly friendlier graduate degree option, law students are on their own once enrolled somewhere. As this belief evolved, it eventually translated to mean that law schools did not care about their students. Though law schools may have recognized this prior to the decline in applications, it was not until then, that some of them began taking action in order to rectify this notion. Recognizing both the need to generate connections with potential future candidates as well as the accessibility that technology offers, law schools began designing application packets that highlighted distinct advantages their programs’ offered when compared to the next competitors,’ and by customizing applicants’ experience, such as a birthday card signed in assorted, colored pens by each individual on that particular law school’s admissions board. 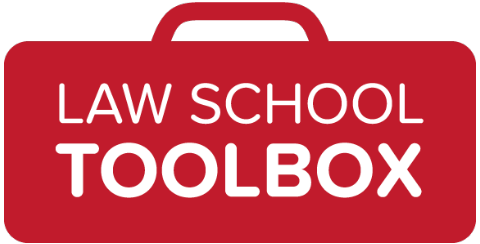 Other notable examples of customization that law schools have used to convince candidates to choose them instead include: personal E-vites to attend “meet and greet” cocktail receptions held at a professor’s home prior to the first day of classes, retreats to an administrator’s summer house, and free apparel emblazoned with the institution’s name or logo, along with a candidate’s name. Why is this Small Detail so Important? While a handful of you may transfer, the majority of law students typically do not. This means that the institution you choose to attend will be your home for the next three years, and you want to be treated accordingly. Any necessities you may have questions about, such as financial aid, graduation requirements, and housing information, are all handled by your institution’s various administrative departments. 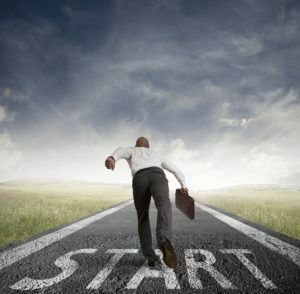 If a law school fails to acknowledge an already accepted (or simply an interested) candidate during an admissions cycle, a time when they should be persuading students to enroll in their particular program, chances are that they will not be very attentive when you officially become a student there either. On one hand, it is certainly possible that some law schools have not adopted this form of promotion due to circumstantial reasons; as in they have an extremely high application and acceptance rate, or they are regarded as such an esteemed establishment that they are fully aware of how coveted their degrees are and thus, no additional advertising is necessary. On the other hand, it could also mean they do not possess the financial capacity nor the manpower to produce such materials, or they are so strictly managed as a business that they would prefer to sacrifice their students’ success rather than to lose capital. This latter treatment does not bode well when determining which law school will offer you the greatest chance for an overall, satisfying experience. 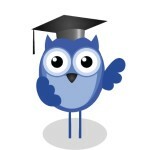 As an example, suppose you are a 3L who is graduating at the end of the year. You triple-checked graduation requirements, you went above and beyond in credit hours, extra-curricular activities, and externships, but your law school’s handbook had a misprint omitting an essential pre-requisite for graduating. You finally discover the error after classes have already started and the add-drop period ended. Which law school would you entrust more with helping to ensure you would still graduate on time: The one who promptly returned your questions when finalizing whether to attend their school, accommodated your schedule when you could not arrange to make a pre-scheduled tour, and sent you school apparel with your name spelled correctly on it; Or the one who did not bother to answer your important financial aid question for six weeks, continuously misspelled or mispronounced your name despite repeated attempts to correct them, and demonstrated zero desire to form a connection with its students, or at the very least, promote outside events to help foster relationships among its students. After reading this article, the answer should be clear. 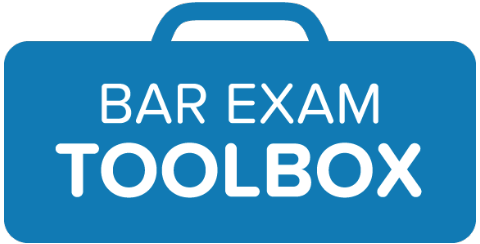 In short, be mindful of how your potential, future law school treats its candidates. Though personalization should be incorporated as part of a secondary tier of reasoning on your pros and cons list, it should not be dismissed as trivial one.